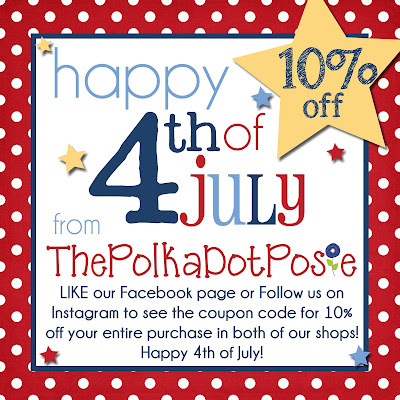 The Polka Dot Posie: Enjoy 10% Off Your Entire Purchase in BOTH SHOPS this Holiday Weekend! 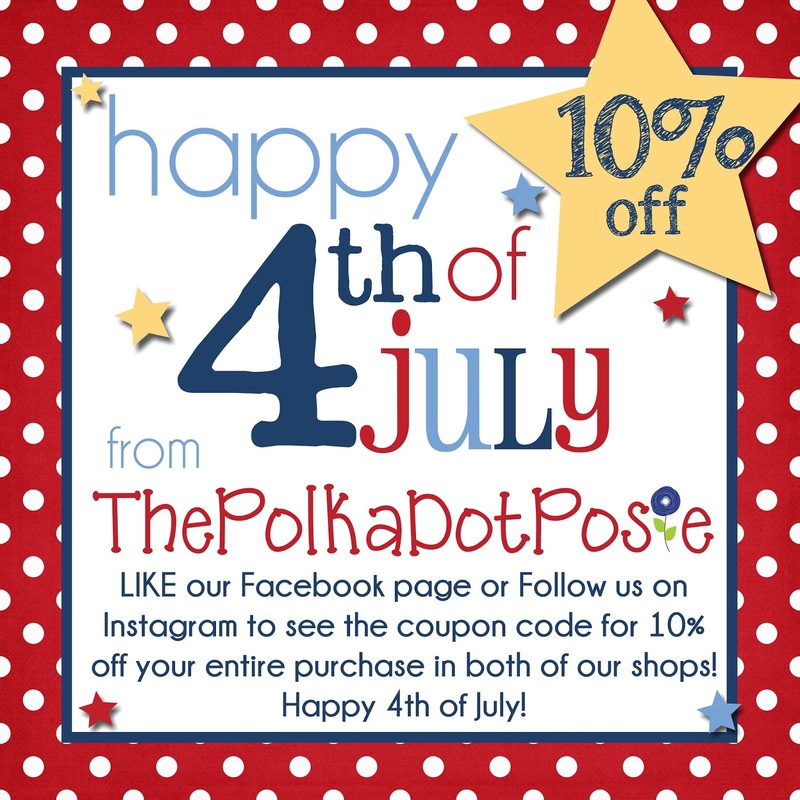 Enjoy 10% Off Your Entire Purchase in BOTH SHOPS this Holiday Weekend! Happy 4th of July Weekend, friends! We hope you have some fun celebrations planned with your friends and family. We have a special treat for all of you this weekend!! 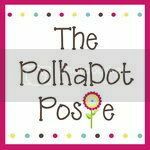 If you don't already follow us on Facebook or Instagram, just head over and "Like" or "Follow" our page for a 10% off your ENTIRE PURCHASE coupon code!! This code will be good in BOTH of our shops this weekend only.